Sensational filmmaker SS Rajamouli's much anticipated project RRR with NTR and Ram Charan in the lead roles is progressing at a brisk pace. The unit has headed to Vadodara for an upcoming schedule and some key scenes of the movie are being filmed. 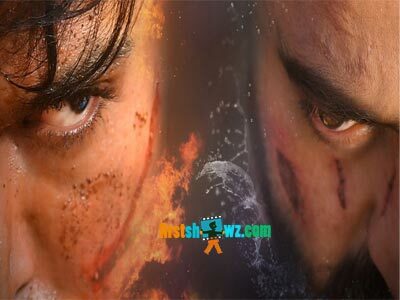 Two crucial schedules of the film have already been wrapped up in Hyderabad, where the makers filmed intense action sequences on lead stars Ram Charan and NTR. Alia Bhatt is playing one of the lead ladies pairing up with Ram Charan. Ajay Devgn plays crucial role. RRR is a fiction film set in 1920's and revolves around two legendary freedom fighters Alluri Seetharamaraju and Komaram Bheem. DVV Danayya is producing this period backdrop movie on DVV Entertainments banner with a budget of around Rs 300 – 400 crores. RRR will release in Hindi, Tamil, Telugu and Malayalam and is expected to release on July 30, 2020. MM Keeravani scores the music.